Fitz is a portrait, fashion and lifestyle photographer based in Los Angeles. He comes from a long line of artists in the family, all of whom have channeled their creative energy into lifelong pursuits and artistic careers. Fitz has always had a strong connection to visual composition growing up, and at the age of 18 his father handed him a 1978 Konica SLR with a 50mm prime lens. Once he looked through the lens and took his first picture, he never looked back. As a keen observer of people, Fitz is frequently complimented by his clients for 'imagining just the right type of portrait' - one that tells their story, that represents their energy, and expresses a complex statement in a simple format. With a background in advertising and marketing, Fitz brings great value and experience to the client table when defining art direction, mood and style that reflects not only the spirit of the client's energy, but also targeting the right approach in line with business objectives. 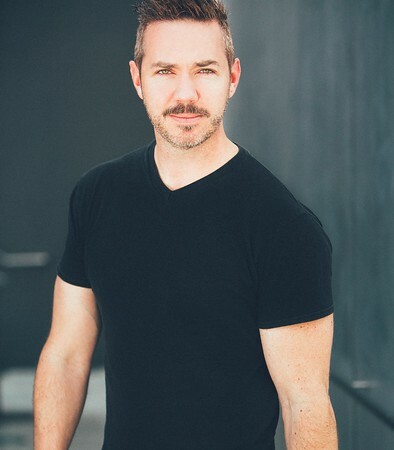 His work has been featured in local, regional, and national campaigns, including both print and broadcast television, and straddles the disciplines of lifestyle, fashion and advertising. I've been featured on the APA (American Photographic Artists) Member Gallery. Their curatorial team features a small number of projects to appear on the front of their gallery each day. They only pick the best work that effectively promotes the APA Member Gallery community. 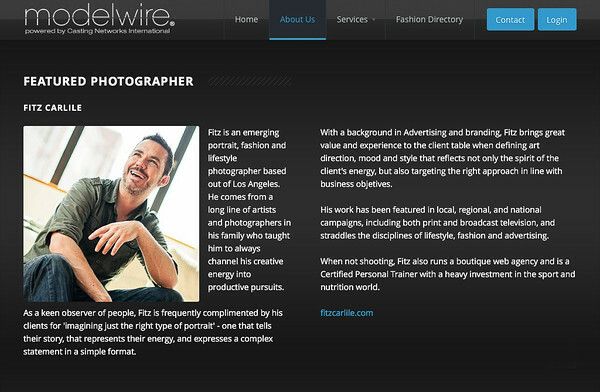 Model Wire, the world's premiere online model management website, selected Fitz Carlile as their Featured Photographer. Model Wire approached Fitz in 2011 to produce a fashion shoot in downtown Los Angeles using only creative professionals from within the Model Wire ecosystem. They were so impressed with the results that Model Wire made the decision to exclusively promote his work throughout their flagship website www.modelwire.com and in all of their Social Media and Web Promotions.